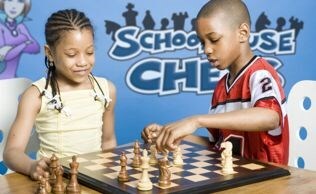 School House Chess is available year round for Grades K-5 with a maximum of 12 students per session. 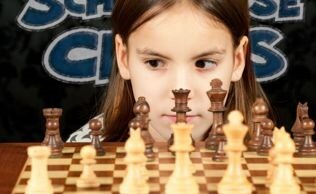 Schoolhouse Chess is devoted to helping kids develop learning and thinking skills by teaching them chess. Chess has been proven to help with logic, memory, analysis, reading, and mathematics, and has even been shown to improve IQ. However, Schoolhouse Chess understands the importance of making learning fun! We teach chess with fun characters and stories that are woven into a logical, step-by-step curriculum that begins with the basic rules and extends through advanced strategies and tactics. Level 1 curriculum is appropriate for players with little to no experience. Level 2 curriculum is appropriate for players with some varied levels of experience.